This plan communicates the priorities and objectives of the Township, as well as the visions and mission of the Township Trustees and Fiscal Officer for the next five years. Download the 2016 Action Plan Summary Brochure. Boardman Outlook November 2014 Edition showcasing current events in Boardman and Swearing in of one Boardman Firefighter and three Boardman Police Officers. 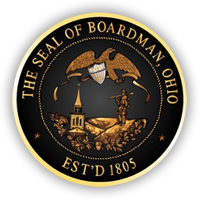 Boardman Trustees review and discuss upcoming events and policies for September 2014.